Discounts on iPhones, Macs, and more: What's the deal? With a few exceptions that are as exceedingly rare as they are short lived it’s unusual to see Apple products sold at significant discounts by specific retailers. And yet, in the last week or so, that’s exactly what has happened. For example, Walmart just cut its prices on Apple’s mobile handsets. For $99, the retail giant will sell you a 16GB iPhone 5s and activate it on AT&T’s network; Apple’s official price for that same phone will set you back more than twice as much, at $199. If you’re in the market for an 16GB iPhone 5c, which normally costs $99, the price drops even more, to a mere $29. Along the same lines, retail warehouse chain Costco, which stopped selling Apple products in 2010, has just announced that it has started carrying iPhones, iPads and iPods again, and at even deeper discounts than Walmart’s offering. 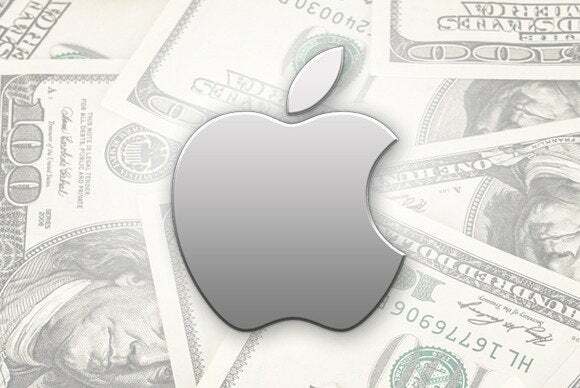 But that’s not all: Apple itself seems to be experimenting with more affordable prices. To wit, the recently-released 1.4 GHz, 21-inch iMac, which retails officially for $1099, is $200 cheaper than the previous entry model, and can be had for even less money at retailers like Best Buy; Apple also dropped MacBook Air prices by $100 earlier this year. Similarly, just this week the company slashed prices on iPod touch models, and even brought the 16GB model’s features up to par with the rest of the line at the new, lower price. As risky as it is to try and read too much into what Apple does, it’s hard to look at all these data points and not wonder if something may be up. Over the years, the Cupertino giant has very carefully positioned its products on the market so that they usually have the same price tag, no matter where you buy them. And the price tag is—purposefully—not cheap: The company has, by and large, eschewed the computer industry’s race to the bottom, preferring instead to sell “affordable luxuries” at a cost that yields healthy profit margins without having to compromise on the quality of its production values. One possible explanation for the recent price-fixation is that the company is starting to clear its supplies ahead of the release of new hardware in the fall. 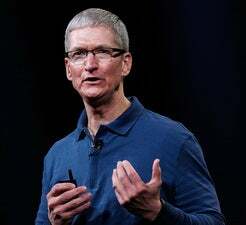 This would, perhaps, explain the discounts on iPhones and iPads, but it wouldn’t gibe quite as well with Tim Cook’s well-known prowess at maintaining a tight rein on inventory—nor would it explain the introduction of less expensive Macs or an updated iPod touch. Why, after all, roll out updated offerings only to replace them a few months later? Another possibility might be that Apple is beginning to feel a downward pressure on its prices from competitors, particularly when it comes to the Android-based alternatives that companies like Samsung churn out. Considering that the South Korean company’s management just told analysts that its second-quarter results will be “not that good,” however, I think that this line of reasoning can be safely discounted. A third option, which I think makes more sense, is that the sudden increase in the affordability of everything Apple is the result of multiple forces all coming into play at the same time. For one thing, Apple’s entire product line hasn’t seen a significant refresh in a while, which has given the company plenty of time to squeeze every last cent’s worth of performance out of its production line, resulting in lower manufacturing costs that can be passed along to customers in the form of lower prices. By the same token, granting resellers a little freedom in the way the price the company’s wares generates buzz—never a bad thing—and keeps customers interested while new hardware is being readied for launch later in the year. Who knows, perhaps a few discounts here and there even help with the halo effect by pushing more customers to buy deeper into the Apple ecosystem. Whatever the reason, these changes are great news for customers. However small, discounts are always welcome, and the deliberate way in which they are being applied contribute to the image of a confident Apple that remains in firm control even as it can relax its relationship with resellers.